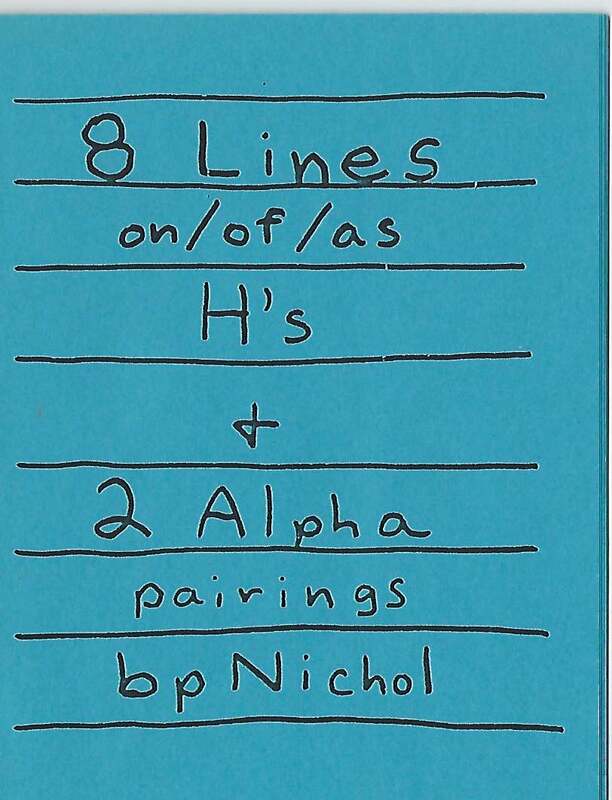 8 Lines on/of/as H's + 2 Alpha pairings. Toronto: Letters, 1986. 2 Bit Poetry series No. 9. Reprinted in an edition of 43 "at the sign of the press" 15 April 1994. Printed in an edition of 100 copies.